cm) and a weight of 2.2 lb (1 kg). Albert's lyrebird (Menura alberti) is slightly smaller. Lyrebirds have very strong legs and feet. The bill is short, sharp, and slightly down-curved. Both species are brown, with Albert's being more rufous. The ornamental tail of the adult male distinguishes it from the female. Young males and females—"plain-tails"—are indistinguishable. 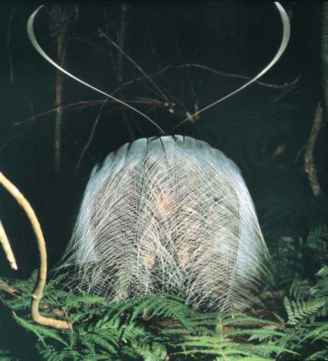 A lyrebird's tail has 16 rectrices (main feathers) and is best described using the terminology of Len Smith in his classic work, The Life of Lyrebird, published in 1988. 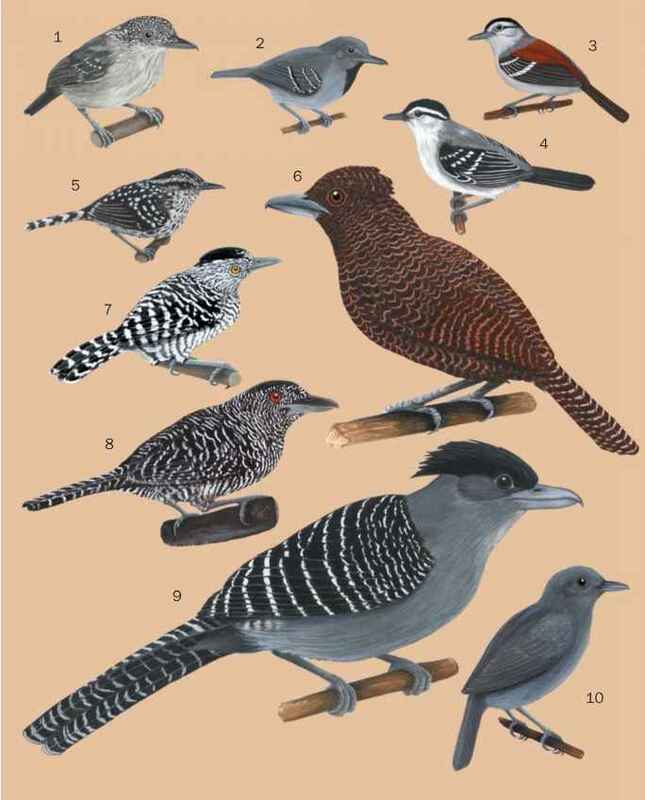 An adult male has an outer pair of broad, fully webbed feathers ("lyrates"), a central very narrow pair ("medians"), and six pairs of "fila-mentaries" in which the barbs are separated except near the base. A young male superb lyrebird does not acquire a filamentary feather until at least his fourth year, and he is at least six years old before he gets a full set. Albert's lyrebird tail development is unknown.